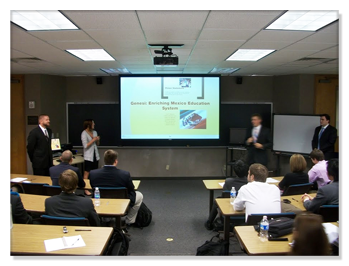 In June 2011, the Genesi Group proudly partnered with the Hankamer School of Business at Baylor University in Waco, Texas, to assist students performing market and competitor analyses and develop new market entry strategy plans as part of their "Strategic Management" (BUS 4385) course program. Participating students were able to meet with Company representives from North America and Europe who introduced them to the Company´s products, services and its licensing business. Experiences and insights into various global markets as well as the computer and telecommunications industries were shared. 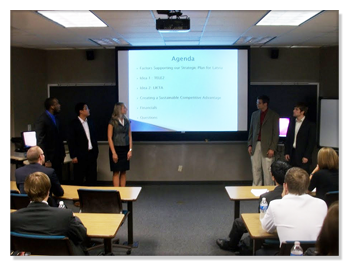 All students joined one of eight teams who each focused on a different regional market. Based on hypothetical scenarios surrounding Genesi´s business, each team prepared a market entry strategy plan that encompassed an executive summary, mission and vision statements, internal and external analyses, business and corporate-level strategies, and an assessment of the local competitive environment. 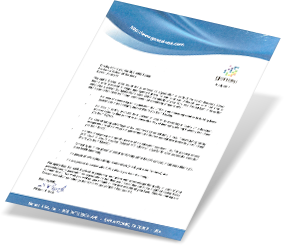 All submitted strategy plans are provided below in PDF format. Please click to download. 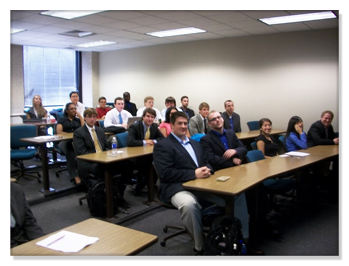 The Genesi team would like to thank Bradley Norris of the Hankamer School of Business, Baylor University for inviting us to participate. Furthermore, we would like to thank all involved students for their thoughtful questions, genuine interest, enthusiasm and hard work. We greatly enjoyed our meetings on campus. the suggestion to partner with E-Plus (thank you team Germany). 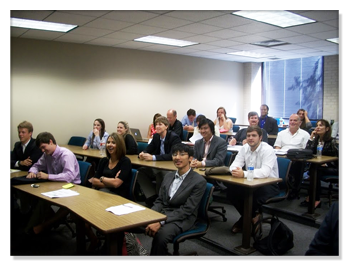 We appreciate the work involved in preparing your plans and acknowledge the quality of each of your presentations (in particular, we appreciate the fact that you dressed the part in the middle of the Central Texas summer!). We wish you well as you embark on the next chapter of your lives. Creative thinking and focused execution can change the world - we are confident that you will. Raquel and I, as well as the rest of the Genesi Team salute your effort. The winner of the 2011 Strategy Plan Challenge was Team China! Academically, the top three teams were Egypt, Latvia and China (1st - 3rd).